Roger is a circus performer with more than a decade of experience in juggling, acrobatics, partner balancing, fire performance, hand balancing, and the aerial arts. 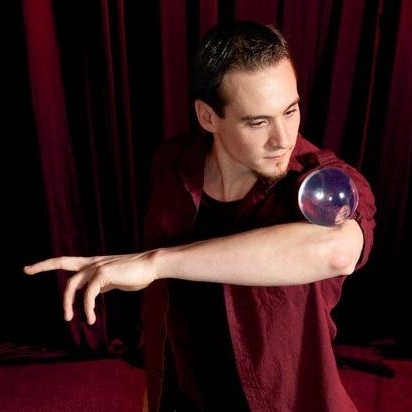 He has performed on stages across the country, been featured in instructional videos, and taught workshops from Boston to California to Spain. Roger is a graduate of the New England Center for Circus Arts' professional track program. Roger is a proud founding member of the Boston Circus Guild, one half of the performing duo Off the Ground, and a touring member of the circus & fire arts troupe A Different Spin. He is endlessly excited about spreading his circus addiction to everyone - this means you!